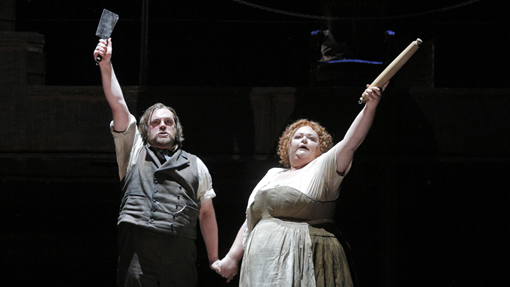 From the San Francisco Opera production of Sweeney Todd. Last night I went to see Sweeney Todd, the musical/opera by Stephen Sondheim at the San Francisco Opera. It was twisted. It was electrifying. The lyrics were most certainly brilliant. But they weren't exactly fun. Let's stop for a moment and consider lyrics, those words we often sing without a thought. For a moment, let's actually think about what goes into the creation of great lyrics. Lyrics are written to serve different purposes. My lyric hero, Stephen Sondheim. The lyrics Mr. Sondheim writes serve a completely different purpose than those in a teaching piece for a piano student. When I write lyrics for a piano piece, those lyrics serve a humble and important purpose: to underscore and bring to life a musical concept for a student. I write lyrics for music composed of simple elements. If you've never tried writing lyrics, it might seem like the simplicity would make writing the writing easier. In fact, it's just the opposite. The simpler the rhythm, the harder it is to write interesting words for it. It's because it's so challenging that I think most method book writers give up too easily. When I started to write the lyrics for the five levels of Piano Town, (all twenty books) I set some ground rules. Respect the kids who would sing the words and play the pieces. Never use the word "fun." These may sound like simple standards, but adhering to them was exhausting. If you doubt it, why not give it a try yourself? It's a blank slate. Take your time and use your imagination to write lyrics for it. (Better still, click here to print it out.) Try your hand at writing a title and lyrics for this simple piece. How did you do? Was it easy? What's your song about? What age child would be interested in it? Sing these out and loud and see how it feels. Many method books authors choose write "descriptive" lyrics. Here's an example that I wrote in about thirty seconds. It's an easy way to write uninteresting lyrics. It takes almost no effort and even less ingenuity. Here's another set I wrote (also in less than a minute) that combines everything I truly despise in method book lyrics. These words start off as describing the piece itself and then veer off into telling the student they're having fun. And that they're going to play in the sun. One time I did a quick survey of how many pages into the method the authors resorted to the telling the students they were going to "have fun." The latest I found was on page nine of the book. If you find one that last longer, (other than Piano Town) please let me know! I'd be remiss if I didn't point out that sometimes the music is as bad as the lyrics. Here's the kind of piece that fills many method books. Obsessed with naming notes, (and I'd suggest, with boring children) songs like The C Song fill method books around the world. Perhaps you saw another weakness in these lyrics? Notice how in the last measure the names of the notes don't agree with the notes played. This happens all the time in note name-obsessed lyrics. It dilutes the questionable value there was in the note-naming song to begin with. By now I'm sure you're tired of reading lousy lyrics and want to know what I DID write for lyrics for the blank song. Here's how it appears in piano town. As an aside, I remember exactly where I was when I wrote these lyrics. I was sitting at the hair salon getting my hair colored with the pages of what would become Piano Town spilling out of my lap. I took them everywhere with me and used every moment I could find. I had two very young children and time was precious. "What's another word for smooth and kind of wet?" I asked Becky, my hair dresser, as we waited for my hair to reach the right shade of reddish-brown. The words for Icing the Cake came to life. All because of Becky. 1. 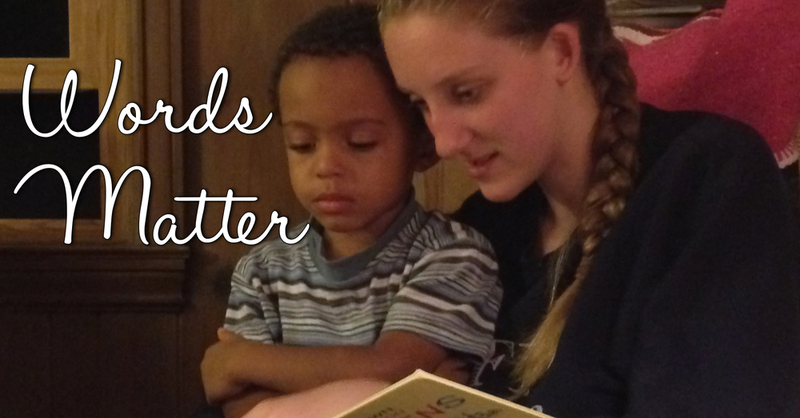 Do the words treat the children with respect? This, more than any other, is the hallmark of good lyrics. Kids aren't dumb. They're just adults who haven't grown up yet. Though they do like to play, they also like to be challenged. They imagine themselves in a variety of roles in the future. 2. Do the lyrics and art resort to stereotypes? It's easy to write "Princess Songs" and "Male Astronaut Songs". I've written about this extensively in Music has no Gender. Pay attention to it in the words you sing with your students. Is there a gender or race bias built into the song? 3. Are the stresses on the words in the right places? Are the rhymes real? 4. Are the words at least consistent? One of the best-selling piano methods in the world has a song that uses the word "chocolate." In the first line, the word has two syllables: "Choc-late". In the second line, it has three: "cho-co-late." How would that help a child get the rhythm of a piece right? 5. Are the words rewarding to sing? When you sing them do they feel good? Are there action verbs and interesting imagery?Rewarding words can be hard to find, but it's worth your time to look for them. 6. Do the words resort to the easiest and least interesting conventions? Are the words full of "describing" the actions of playing the pieces? Or telling the students that they'll have so much fun? There are other choices. For instance, they could show children engaged in meaningful activities and learning about their world. When you look at a piano piece with words, think about the lyrics. You owe it to your students to make good choices. Words matter.